The TFC’s not-so-secret weapon is now the highest paid soccer player in the MLS, but to his long-time partner, he’s still that guy from the café who couldn’t mind his own business. 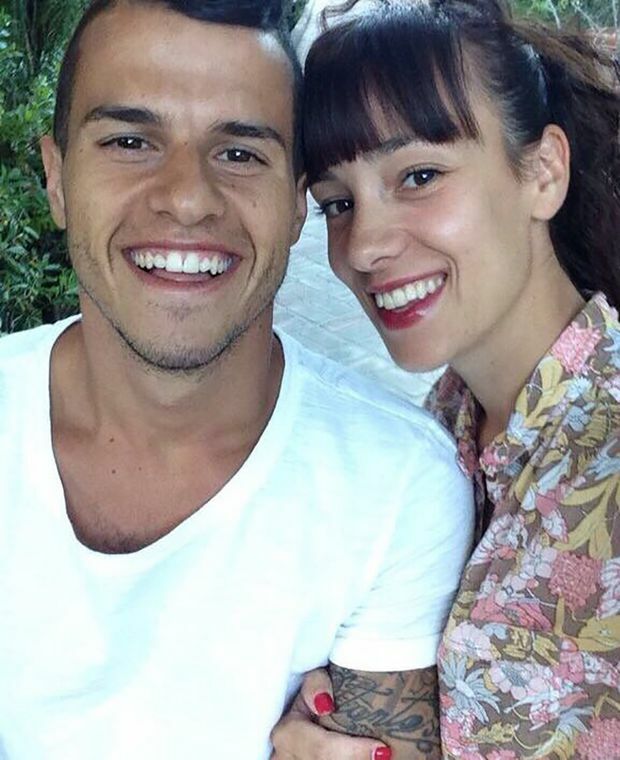 Sebastian Giovinco and Sharj Milano. Who: Sebastian Giovinco, 31, pro footballer with Toronto FC. Sharj Milano, 30, homemaker. Relationship status: Together since 2007. Sharj: When I was 19, I was working in a mall. During my break, I was sitting at a café chatting with the guy behind the bar. I said something and we were both laughing, and then I saw this guy at the bar was laughing, too. I thought, who is this guy who is eavesdropping? Sebastian: Yes, but you also thought, he’s got a great smile. Sharj: It’s true. His smile was the first thing I noticed. The next day I was working and he sent the guy from the bar into the store to see if I would go out with him. Sebastian: He was a friend of mine. Sharj: At first I said no. At least he had to ask me himself. Sebastian: When we first got together I asked if she liked football. Sharj: I didn’t, but I told him that my family supported Juventus [the football club in Turin, Italy]. That was good because he was just about to play his first game on the team! Sebastian: It’s nice to be with someone who was there from the beginning. Sharj plays a huge role in my career – she has supported me and provides me with stability and a home. Sharj: I like it that way. Fans will come up to him all the time. I will always offer to take the picture. That’s where I prefer to be, in the background. Being in a relationship with an athlete is a job. I take care of him, make sure he’s eating healthy. I wish I could make more lasagna. Sebastian: Her lasagna is amazing. Sebastian: She is the romantic one in our relationship. Sharj: It doesn’t take a lot to be more romantic than him! I do like to make small gestures though. When he goes away for longer periods, I will put little papers with messages for him to find. “Te Amo” or “Mi Manchi.” I never put them at the top of the suitcase. I want him to find them after he’s been gone for a few days. Sebastian: So many little papers! I like it though. It’s good to have the reminder of home when I’m away. I have her eyes tattooed on the back of my neck. Sharj: It’s because I’m always behind him. I’m always there on his shoulder. I even like football now. But only his games.